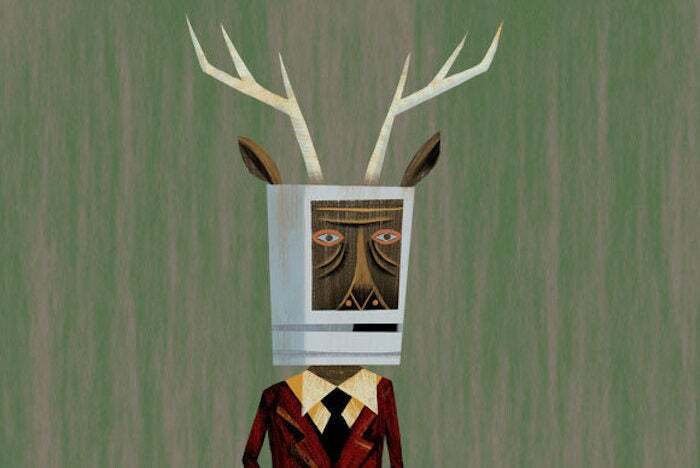 The Macalope is so old that he remembers when people were freaking out because Apple was not only going to introduce 2017’s iPhone in the fall of 2017, but 2018’s as well. By which he means he is older than one year old. The iPhone 8 was supposed to be the iPhone 7s and the iPhone X was supposed to be the iPhone 8. But, instead of shipping it a year early, the company shipped it a month late! And named it the wrong thing! Apple can’t do anything right! During its product launch keynote in September, Apple announced three new iPhone models: iPhone 8, iPhone 8 Plus, and iPhone X. The iPhone 8 and iPhone 8 Plus became available for purchase shortly after the announcement, while the availability of the iPhone X was delayed until Nov. 2. No. No. No, no, no, no, no. All the noes. A nose full of noes. The iPhone X was not “delayed”. The iPhone X wasn’t the phone that fit into the annual announcement cycle, the iPhone 8 was. The iPhone X was a premium, next-generation phone that shipped at a premium price and a next-generation time. November was when it was announced to ship and that is when it shipped. You can certainly say the HomePod was delayed because Apple announced that it would ship in 2017 and the Macalope doesn’t know if you noticed or not from the 10,000 articles that were written about it but it did not ship in 2017. This is why the meaning of words matters. Because if “delayed” just means anything that ships after something else then there’s no way to tell the difference between what Apple did with the iPhone X and what it did with the HomePod. Let’s jump real quick to paragraph 9. Adjusted for the fact that the first quarter of fiscal year 2018 was a 13-week quarter while the year-ago quarter was a 14-week one, iPhone unit shipments were effectively up around 6%. Again, thanks for nothing, Pope Gregory XIII. …Apple is guiding to a substantial sequential decline in iPhone shipments. For the first time ever. Since last year. And every other year since they moved to fall releases for the iPhone. Although Apple reported a stellar iPhone average selling price figure for the first quarter of its fiscal year 2018, driven in no small part by the introduction of the iPhone X, I think that the figure could’ve been even higher had the iPhone X been available earlier in the quarter. You mean if they had been able to sell more of the expensive phone then their average selling price would have been higher? Wow. Are you some sort of mathmagician? Some customers may have had the luxury of being able to wait for the iPhone X to launch, but others may have simply bought the best that they could at the time to replace older iPhones and Android devices. Are there that many people who can’t wait a month for a phone? Doesn’t seem like it’d be that many, but certainly some. Also, a lot of people probably took the iPhone 8 expecting the iPhone X to be heavily constrained. Obligatory The Princess Bride reference. …may have led to less-than-ideal iPhone unit shipments during Apple’s most recent quarter. In general, yes, you’re going to sell more of a thing if you have a longer amount of time to sell said thing. Such is the linear nature of time. This isn’t a bad performance, but once again, I think Apple’s shipment performance could’ve been better in the quarter had the iPhone X come out on time. Neutral face emoji. In fact, just neutral face emoji the whole way down for this piece. The phone was shipped “on time.” It was shipped when it was announced to ship and when Apple was able to meet enough demand. Your imaginary ship dates do not enter into this equation. Eassa thinks there are people who looked at the later release date for the iPhone X and were “discouraged at having to wait until November to buy an iPhone that would ultimately be replaced by a newer, better model in about 10 months” and therefore didn’t buy an iPhone this year at all. That seems like a very small set of people. And it’s quite likely that the 2018 release schedule will be exactly the same as the 2017 release schedule, with a base phone coming first and a higher end model coming second. So it’s a very small set of people who are very bad at evaluating choices. It was only about 24 months ago that people were chastising Apple for only releasing one phone a year. Now it’s “You must also release them when I say you should release them.” The company can’t win. Other than having record quarters.